Dope picture, right? Vivid imagery. Great colors. Interesting subject (Fresh sushi!). I was shocked to learn that these series of what appear to be photographs are in fact a set of paintings done by none other than famed artist Diego Gravense (check some of his other works here). Argentinian-painter Diego Gravinese creates hyperreal oil on canvas and acrylic paintings that at first we thought were a series of photographs. 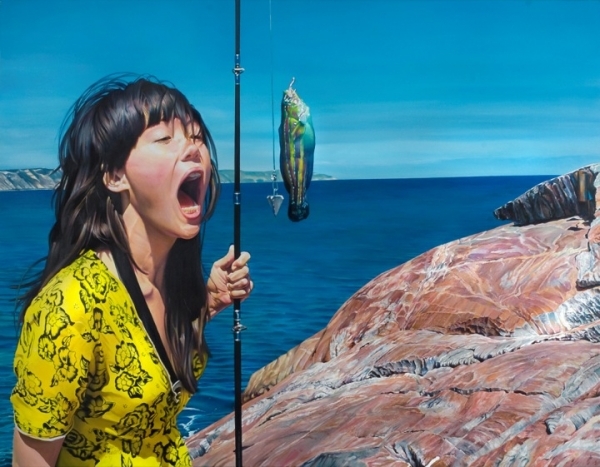 The works are highly detailed, capturing both mundane and bizarre scenes in photo realistic style.